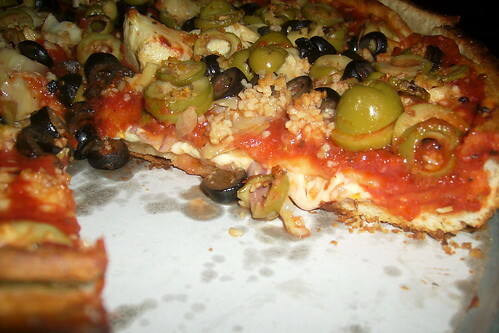 Full frontal vegan deep dish pizza! THE CHILDREN, COVER THEIR EYES! AND THEIR MOUTHS! CC image via flickr user bamalibrarylady. Posted: 03/31/12 at 7:00 am. Filed under: Saturday Garbage Plate.